According to activist group Equal Education, 41.7% of South African Grade10 pupils drop out of school before their matric year. One of the main reasons – the absence of a solid early schooling foundation. Trialogue, a consultancy that focuses on corporate responsibility issues, notes that education continues to receive the largest proportion of corporate social investment (CSI) in South Africa – some 48% in 2017. 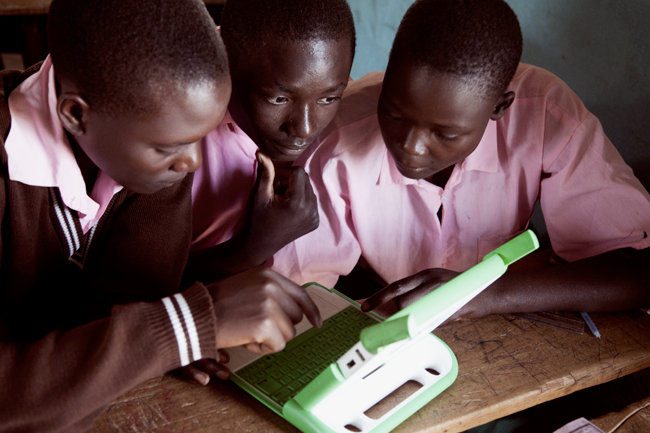 The Smart School, which uses e-boards (electronic, interactive LCD whiteboards), has three components: an interactive management solution that allows teachers to deliver content to students, share screens, check student progress and conduct group activities; a learning management system that provides educational material and content such as e-textbooks and learning apps; and a student information system that helps teachers track an individual learner’s progress, attendance and other information. 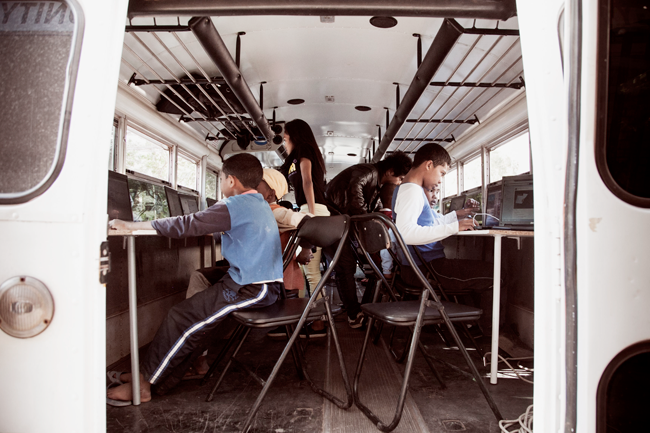 The initiative supports at least 3 000 schools globally and has made a difference to more than 1.4 million learners. The company’s efforts are co-ordinated through its CSI arm, the Vodacom Foundation. ‘The fundamental principle of the foundation is that our mobile communication technologies address some of the country’s most pressing humanitarian challenges,’ says Netshitenzhe, adding that the foundation looks at development from the cradle to adulthood. During the past year, Vodacom has spent close to ZAR100 million through its various initiatives, making a difference to more than 700 000 beneficiaries, she notes. Vodacom’s flagship initiative is its education programme, which is run in partnership with South Africa’s Department of Basic Education (DBE). Through this programme, 92 teacher centres have been connected across the country, serving as ICT district hubs that ensure continuous training for teachers, learners, unemployed youths and community members, with the aim of contributing to the transformation of teaching and learning through the use of technology. The centres are equipped with interactive boards, laptops, desktops, servers, data projectors, routers and printers, and provide spaces designed to train teachers on how to integrate ICT in the classroom. Another key initiative is the Vodacom e-School, which provides online CAPS-aligned digital content. ‘This has ensured that we bridge the digital divide in making learning exciting using technology,’ says Netshitenzhe, adding that the e-school portal has reached more than 439 000 learners across the country. The Youth Academy, meanwhile, has helped improve the digital skills of young unemployed South Africans. Liquid Telecom South Africa has also chosen to focus on education, albeit at tertiary level. The company has an agreement in place with the Vaal University of Technology that will see more students accessing bursaries in the field of IT. Last year, 10 students received bursaries amounting to a total of ZAR470 000. Bursaries aside, Liquid Telecom South Africa’s investment will also benefit country’s IT industry in the long term by working to remedy the skills shortage in this field of expertise. According to Calvin Theko, chief corporate services officer of Liquid Telecom, the bursaries will ensure that the lives of students from previously disadvantaged backgrounds are changed in a positive way. ‘They will be set up to become key partakers in the expanding new world of the internet of things,’ he says. In South Africa, many schools are lagging behind in the digital age due to the prohibitive cost of bandwidth. In a bid to remedy this, Vumatel’s schools project rolls out free, uncapped, open-access fibre-optic infra-structure to every school the company passes during the deployment of its network. Each receives a dedicated 1 Gbps (gigabit per second) line and can choose from a variety of internet service providers for free, uncapped internet connectivity. Since the project began in 2016, more than 120 schools have been connected. Telkom, through the Telkom Foundation, supports projects that focus on education, learner support and social development. Shafika Isaacs, chairperson of the foundation, says they frequently uncover nascent talents and skills among the learners in their programmes, many of whom experience difficulties with depression, anxiety and ill mental health, which show up as addictions and dependencies, and poor learner performance. ‘This is the context in which we have tailored our digital learning programmes in ways that are both sensitive to their precarious learning lives and nurture their innate learning assets and potential. Ours is a radical attempt at challenging the deficit discourse related to poor black youth by focusing attention on their dreams, aspirations and natural talents,’ according to Isaacs. She says the Telkom Foundation has taken an in-depth approach to understanding the learning struggles of approximately 3 000 individual learners at schools in South Africa, who are supported from Grade 8 to matric. Telkom has also made a significant investment in the tuition-free, peer-to-peer software engineer training programme WeThinkCode, which aims to eliminate the ICT skills shortage by developing 100 000 coders in Africa over the next decade. Telkom’s ZAR60 million contribution will go a long way towards more than doubling the number of entry-level coders in the South African market by the end of this year. It will also be used to expand WeThinkCode’s Johannesburg facility and contribute to the development of a new campus in Cape Town. BCX, a Telkom subsidiary, also has a vested interest in WeThinkCode, last year concluding a ZAR60 million educational partnership with the training provider and committing to host (together with other companies in the group) 40 interns from its programme annually for the next three years. Netshitenzhe firmly believes that to break the cycle of poverty and advance the economic empowerment of South Africans, there needs to be a radical transformation in education. ‘In our view, our existing technology can be an enabler to the provision of quality,’ she says. ‘We plan to accelerate our interventions in education in the coming years with more social partners, to enable young people to enjoy the benefits of the Fourth Industrial Revolution’.